EDUCATION QUALIFICATION (as on 01-01-2019) : The candidates must have passed 12th Standard or equivalent examination from a recognized Board or University. Fee can be paid through SBI Callahan/ SBI Net Banking or by using Visa, MasterCard, Maestro, RuPay Credit or Debit card. 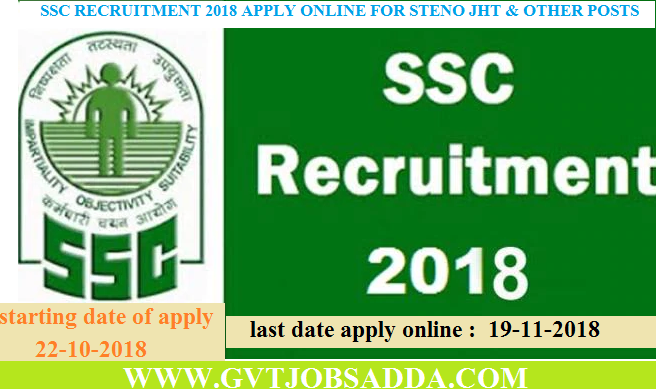 Applications are required to be submitted in online mode only at the official website of SSC https://ssc.nic.in.